The Great Rann of Kutch- You must have seen the Sea of Salt but have you heard about the Desert of Salt i.e. the Great Rann of Kutch. However, this unique place is a lot more than that. Read about my experience on our visit to Rann of Kutch, the lovely people, colorful culture, and a totally different tradition. Everything began with a thought of seeing a salty desert on a full moon night. 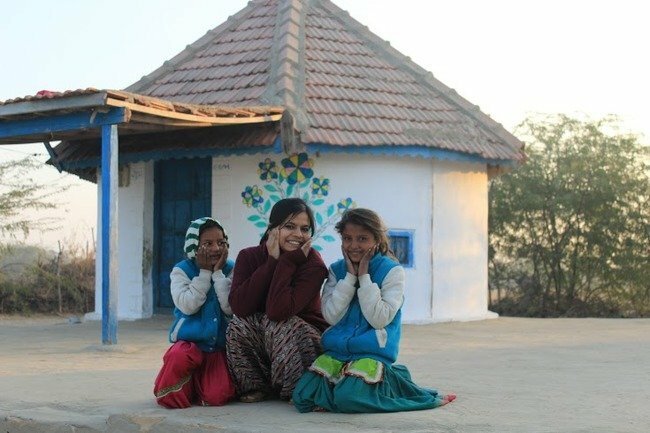 That’s how I made a plan with some of my friends to see the enchanting beauty of Rann of Kutch & to witness the great Rann of Kutch festival.I was the one who was making the itinerary, so I started exploring the places to visit in Kutch and around. Finally, we decided to go on a three day trip from 22nd to 26 Jan(+ 2 days because of the train journey) to Rann of Kutch Festival/Rann Mahotsav. 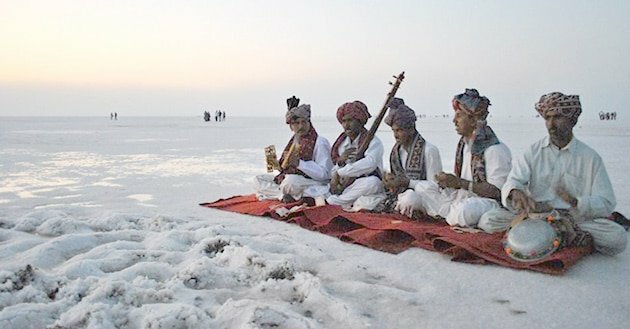 Every year Rann Mahotsav is celebrated from December to early March in Kutch and Full moon nights are the main eye catcher in the whole Mahotsav(Celebration). The best time to visit Rann of Kutch is in winters at the time of Rann Mahotsav. Rann Utsav usually starts from the first week of November & usually, lasts up to March. 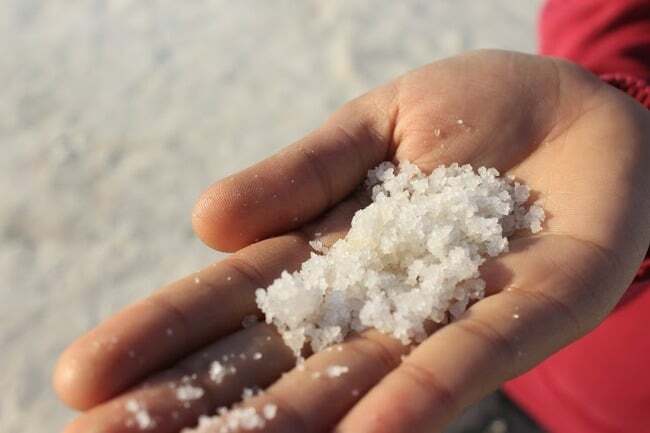 One of the biggest salt deserts in the world, the great Rann of Kutch in the Gujarat state of India is known not only for its natural splendor but for what its inhabitants have created – The Rann Utsav. Magnificent is the word that one could simply use and glorify the natural beauty of Kutch with the canvas of culture, the profusion of art forms, and an overabundance of life. Please check out the official website of the Rann of Kutch Festival before you plan out. We had taken the train around 4 in the evening from Gurgaon on 21 st Jan and reached Ahmedabad around 9 the next morning. We had our breakfast at the station itself and taken the bus around 12:30 in the afternoon for Bhuj. We reached Bhuj in the night, and the journey in the Volvo bus was really comfortable because of the well-maintained roads in Gujarat. I never had such an experience of any bus travel( bus was from Patel Tour and Travels). We checked into Gangaram Hotel in Bhuj and ate delicious authentic Gujarati Thali at Annapurna Hotel (which was near our hotel only). The Thali was delicious. Also, the widespread myth about the Gujarati food that everything is sweet was broken there. We booked a car for all the three days to have easy travel and also to enjoy the road journey. The car was arranged by the hotel owner itself. 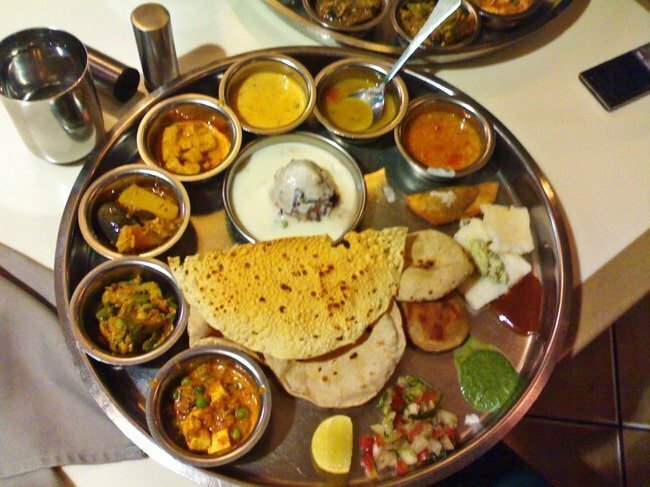 What I liked: the famous Gujarati Thali which is said to have everything sweet but that’s not actually true so, give it a try if you are a foodie like me. What could have been avoided: if you have less time, book a flight to Ahmedabad/Bhuj. We started with an NGO at Sumeraser. The knitting by the artisan(Karigar) there was enthralling. They call that skill(Warp and Weft) “Tana – Bana”. I was amazed by the patience level with which he was weaving. 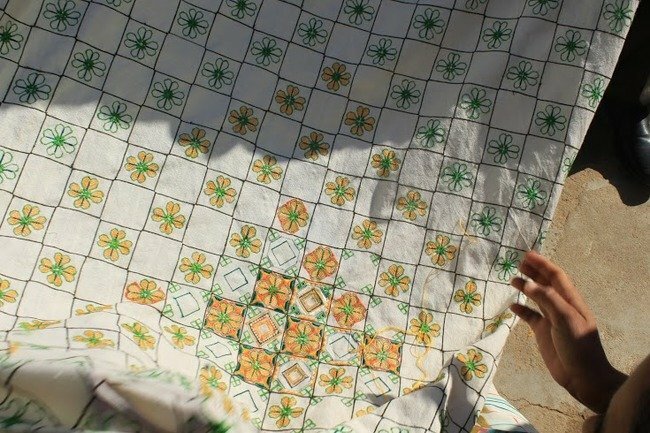 Hence, the whole process of getting the cotton from animals, dyeing it, spinning, designing was being done by him and he has been succeeding this skill after his father. After that, we visited another NGO called “Kala Raksha,” which also showcased the handicraft work and sewing-knitting (kadhai-buniyi) by the ladies from the nearby villages. We also met the mother of Prakash Ji who founded that NGO, she was in her eighties but was still working. She also had been to Australia for 25 days to train some college students there. She shared an award with her son given by our honorable PM Narendra Modi for their work for the upliftment of the women in the rural areas of Gujarat. It was a great pleasure meeting such a personality. They cannot do this task after the late thirties as their eyesight gets weak due to knitting, but then they are given some other work which does not require that much vision. What I loved about these NGOs is that they are providing a sustainable source of income to the women and making them skilled. We took leave from them after some time and went ahead. We had to stop at a check post for taking the permit to enter Kutch, so if you are planning to visit Kutch don’t forget to carry your Government ID Proof. After that, we went to KaloDungar which known as is the highest point in Gujarat. The “360-degree view” from there was just breathtaking. We went to Khavda from there, had yummy Gujarati snacks called gaathiya and jalebi. After that, we saw pottery at Khavda, which was good. From there, we left for Rann of Kutch immediately as we did not want to miss the sunset from there. What I liked: the knitting which has been done by the rural ladies so passionately and the “360-degree view” from Kalo dungar. What could have been avoided: if you are not much interested you can just visit one NGO and skip the rest, also you can skip the pottery at Khavda, it’s just okay not that great. On arriving at the Rann, the feeling was heavenly, I could not believe my eyes that it does exist, it was looking supernatural. We reached the Rann of Kutch in the evening, walked far in the desert and just sat at a point where we couldn’t see anything but only salt and salt everywhere. Though you cannot sit on the salt because it’s too sticky but we did because we were tired walking. We were there on the full moon night, so this was adding to the enchanting beauty of the white desert. White expanse of serene sand under the full bloom of the moon – trust me, it gets more romantic than the words. For the night, the hotel owner booked two homestays which are run by the locals in the Rann. They cooked the traditional Gujarati food on the hearth which included Chappati of Millet(Bajra) called Rotra and Vegetable curry. The temperature was really low in the night and we were tired, so we slept tight in the cozy blanket. What I liked: enjoyed the date with the moon in Kutch, cannot be explained in words. What could have been avoided: Nothing. We woke up in the morning, had poha with tea and left the place. Then, we headed towards Lakshpat Fort. This is the place where the Bollywood Movie “Refugee” was filmed. 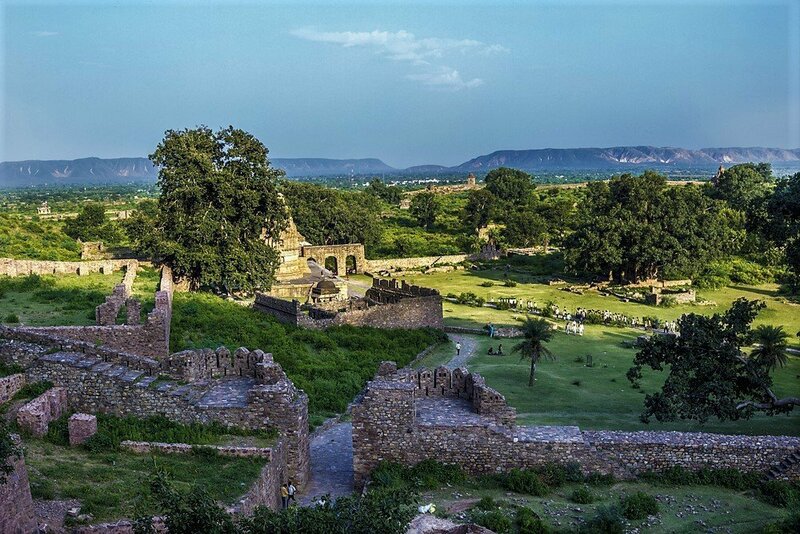 Though it has been destroyed slightly by the 2001 Bhuj Earthquake. But then too, the destructive earthquake could not take away it’s dazzling beauty. After taking some beautiful shots of the fort, we went ahead with the trip and saw Narayan Sarovar and Koteshwar Temple. The Shiva Mandir was built beautifully in ancient style. The weather of Kutch was quite pleasant and that’s one of the main reasons of enjoying the road journey. Then, we headed towards Mandvi beach to see the sunset there. We checked into out hotel RukmaWati. The hotel where we were staying was well maintained, and the price was decent. There was also a lovely terrace garden there with a cute library. The local suggested for Osho Hotel for dinner but it was closed so, we ate Gujarati dinner at some restaurant in the nearby market. In the night, we went to the beach to spend some time with the fierce waves. We started our morning with Maggi with Tea(that was the time when Maggi was banned so, we were glad having our favorite Maggi). What I liked: the serene Mandvi Beach though it was not that clean and the beautiful lakhpat fort. 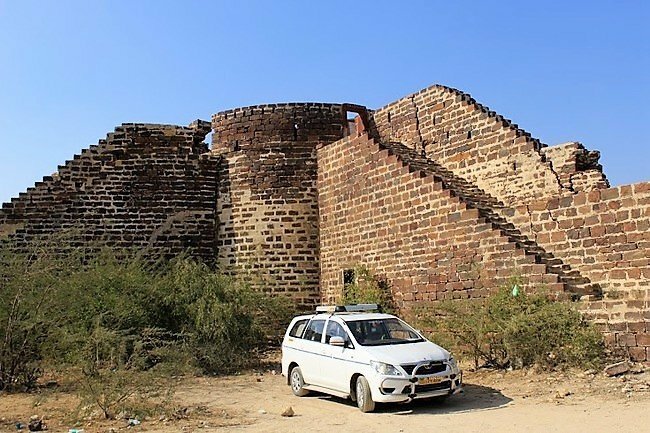 What could have been avoided: if you are not fond of forts, you can skip lakhpat fort. We saw the magnificent Vijaya Vilas Palace, here the Bollywood Movie “Hum Dil De Chuke Sanam” was shot. If you are lucky enough you can still hear the songs of the movie being played there sometimes. The royal family who owns the place still lives there. There we saw a Black Camel which was adopted by the present King. Around 12 in the afternoon, we left for Bhuj. It took us 2 hours to reach there. We saw Swami Narayan Temple which was a beautiful Temple built with White Marble. After that, we saw Aina Palace and Prag Palace. They are also a little destroyed by the Bhuj earthquake but after that too I could feel great architect ideas behind the palace design to build such a great piece of art. We had lunch at Annapurna Hotel and did some shopping in the nearby famous markets. In the evening we left for Ahmedabad to catch the train from there. 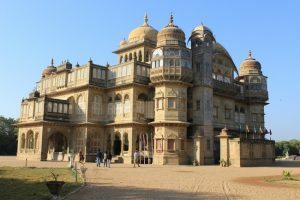 What I liked: loved the Vijay Vilas palace and Swami Narayan Temple in Bhuj. What could have been avoided: you can skip Aina Palace and Prag Palace if you are falling short of time. If you traveling in a group of 4-5, do hire a private cab, it makes the journey really comfortable. You can visit Dholavira(an important Indus Valley), we did n’t because it was too far. Look out for the weather of Kutch beforehand so as to prepare accordingly. Recommended not to be in hurry to cover every place, enjoy the journey. Did you like my article on “Great Rann of Kutch”, please do rate us by clicking the stars! Don't know when I fell in love with travelling, but I can very well say that my relationship with this amazing and invisible person is going really great. It's been almost 2 years of togetherness and I am still counting. You can also follow my own blog called trippygirl.in and connect with me @trippygirl2702 on Instagram. Keep Travelling! 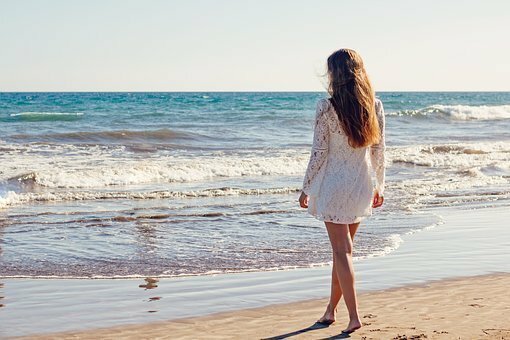 your blog on traveling is an amazing. In free time I love to read your Travel Articles. It is a great post ,really rann of kutch is an phenomenal place to visit. At night it looks more beautiful. 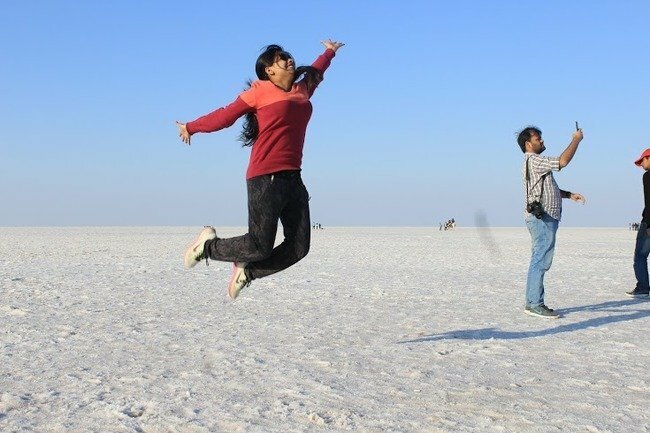 Thank you so much Priya for sharing your thoughts on Rann of Kutch with us. hope you get the more information for the next blogs. 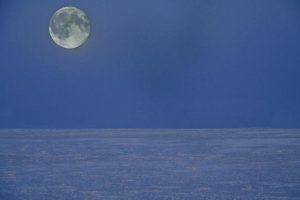 Rann of Kutch is really great view especially the full moon view in the white desert. Rann of Kutch is in my bucket list 2018. I know that it is a must visit destination in India. After starting my blog Jaunt Monkey, a few destinations that I planned for 2017-2018 includes Kutch in Gujarat. By the way, nice post. I was living the travelogue. available, the remaining part of the site is also high quality. It will really help you for travelling in India these are basic and knowledgeable Tips hope you like it and it will surely help you. 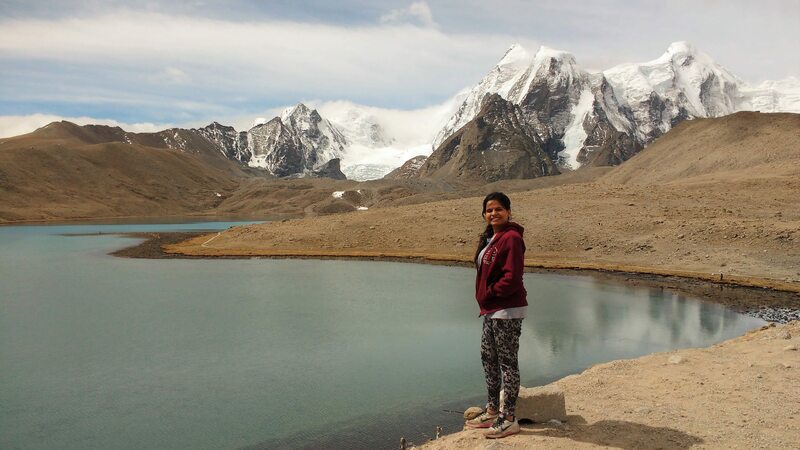 For travelling in India You should know the Tips for travelling in India and I have shared the link With You to check the Tips . Totally concur with your view, amid our last outing to Rann of Kutch, what we did is. We arrived at Kalo Dungar by night and remain overnight there. From Kalo Dungar, you will have an excellent look of the Kutch Rann and early morning stroll around slope is a delight. At that point we begin our journey towards Dhordo and it was marvelous experience. Best Comprehensive guide on runn of Kutch I’ve read today!!! Thank You so much,, I got answer for every question I had! A different view of Gujrat.. great blog.